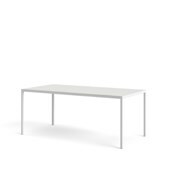 Gather around this table to meet and eat, to plan and work, to play games and laugh and to be together. 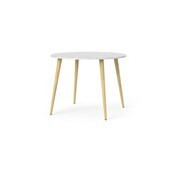 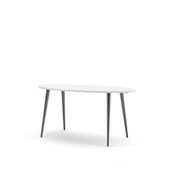 The combination of the slim table top and the elegant metal legs results in a light, airy look, and as the legs are placed at the edges of every corner, there’ll be no fighting for leg room at the family gatherings! 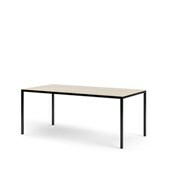 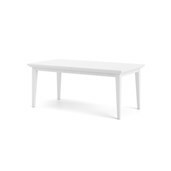 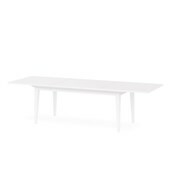 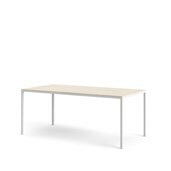 The Rectangular Dining Table is made in Denmark and have scratch-resistant melamine table tops ensuring you a long-lasting gathering point for your family and friends.